The Australopithecus afarensis was an hominid that lived between 4 and 2 millions of years past. 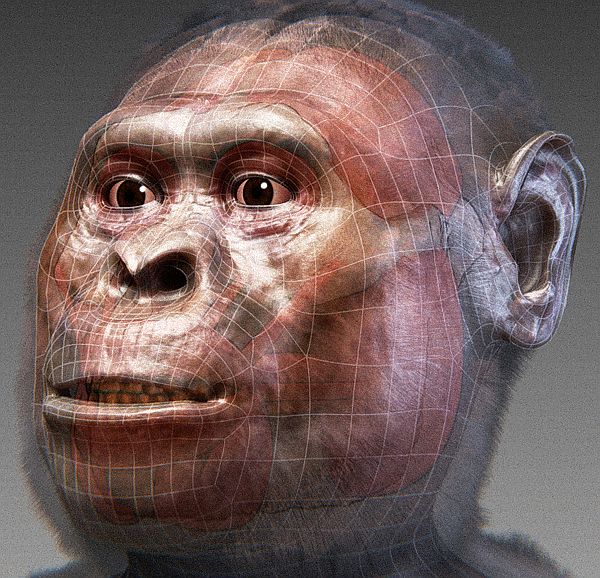 They had biped behavior and the appearence of apes. 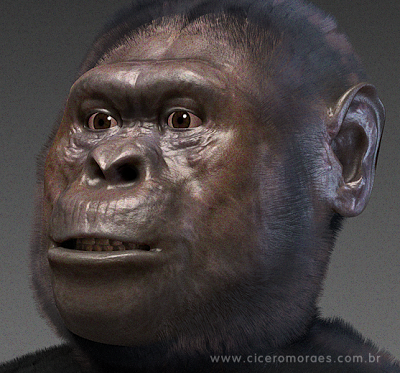 In this post I'll talk about my little adventure to reconstruct the face of this specie. 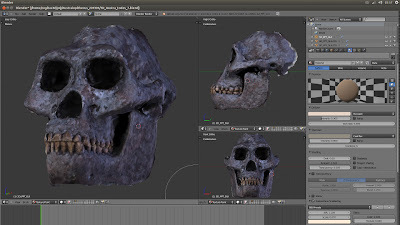 This work is a type of continuation of Taung Project, because the knowledge used there was tapped here, with some increase of the technic. I have to thank to Moacir Elias Santos, a Brazilian archaeologist that took a serie of pictures of a cast skull on Museu Egipcio e Rosacruz. 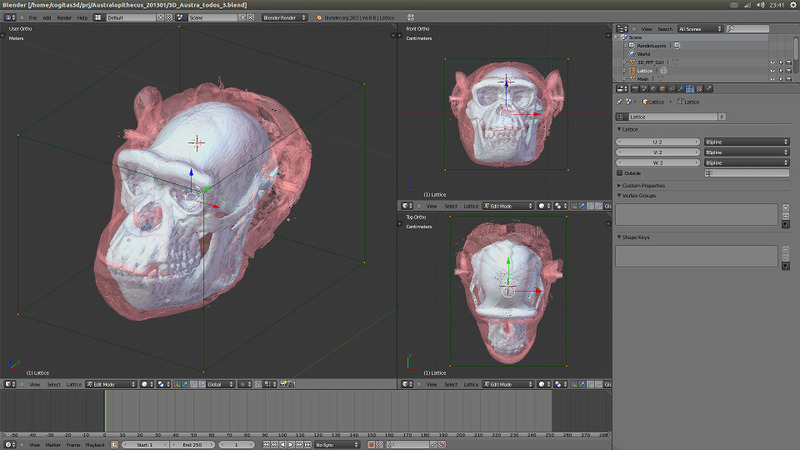 The skull used was reconstructed with PPT GUI (scanning by picture). To increase the quality of the reconstruction, I used a CT-Scan of a chimpanzee. 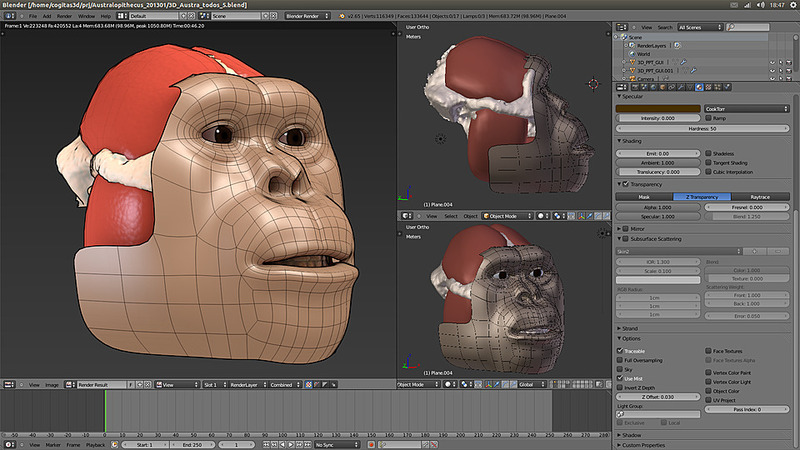 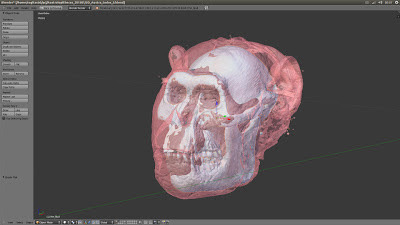 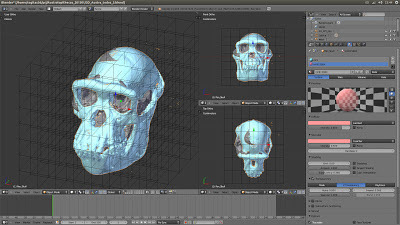 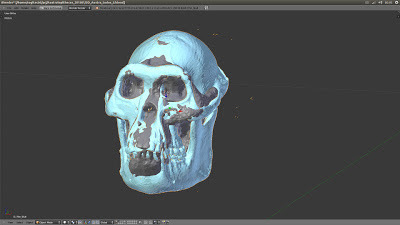 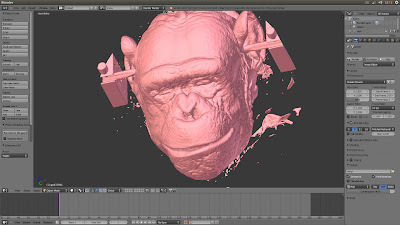 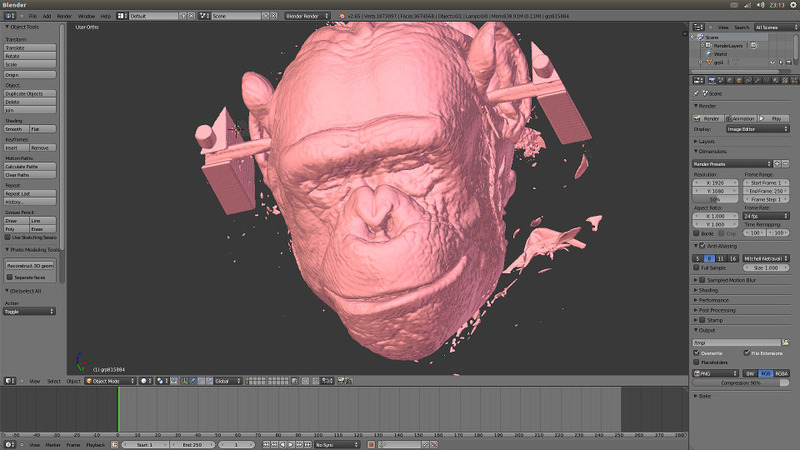 The skull of chimp was deformed using Lattice modifier on Blender 3D, until match with the Australopithecus skull. 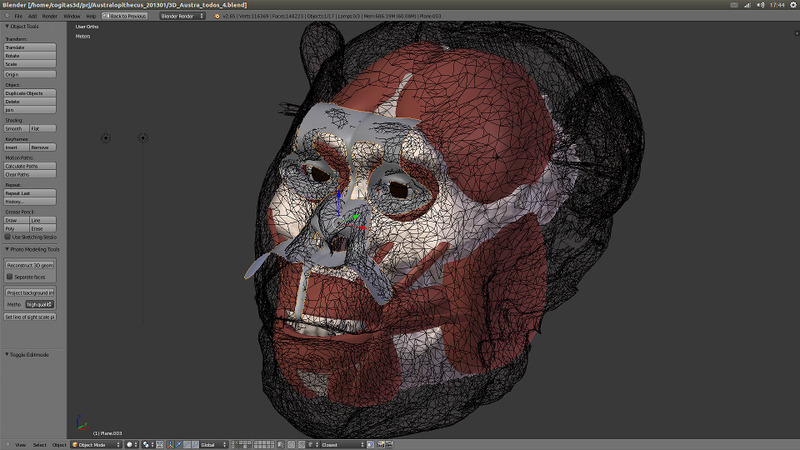 Obviously, the skin was deformed too. After this, I used the reference of the deformed skin to modeling the final face. 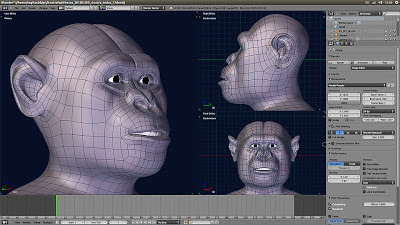 The following steps were the same explained in other posts.